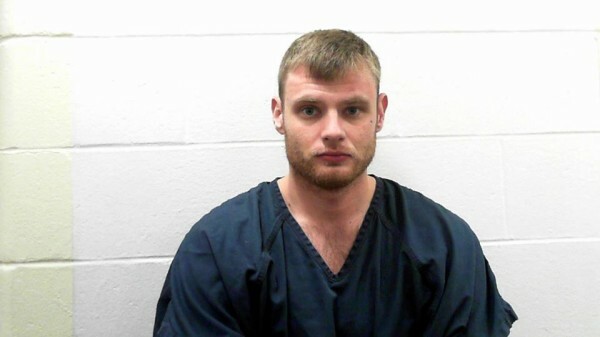 AUBURN, Maine — A Boston man was arrested Saturday night after a traffic stop led to a drug bust on Washington Street, according to police. Oleg Spektorov, 29, had been pulled over due to a broken tail light, according to a statement from Auburn police. During the traffic stop, police sensed a heavy odor of marijuana coming from Spektorov’s vehicle, and a subsequent search turned up over 40 pounds of pot, according to the statement. Spektorov claimed that he was a medical marijuana caregiver, but could not explain why he had so much contraband in his car. Along with the drugs, a small amount of hashish oil and items used to manufacture it were seized. Spektorov was charged with aggravated trafficking in scheduled drugs and unlawful possession of a Schedule X drug and taken to Androscoggin County. He was later released on $25,000 cash bail.